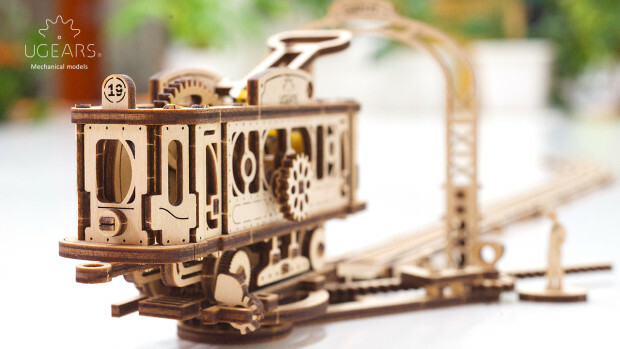 Tram Line model consists of 14 smaller models, which come in a convenient scale for building and playing with. The new model has gaming component. It’s great for hobby & collection. Each smaller model has a unique design and interesting engineering. 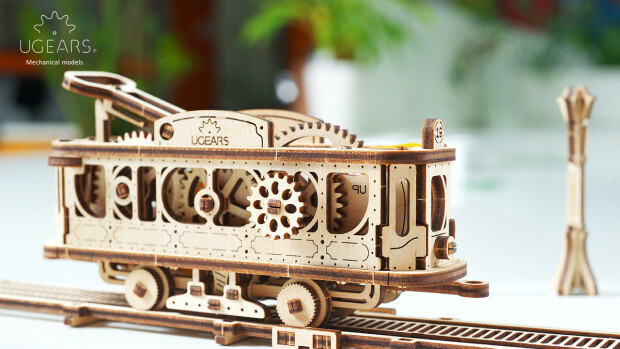 UGEARS’ Tram Line model doesn’t need glue or special tools or even toothpicks to connect parts, which makes putting it together even more exciting. rails, entering into the Depot. After turning on 180 degree on the turntable, it moves on its own to the end of the line. 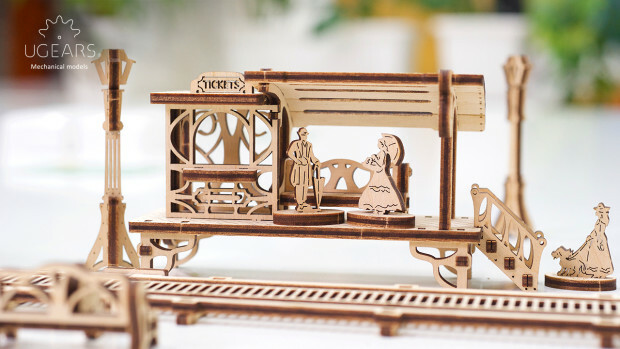 There are no batteries inside: just gears, wheels, cranks, and rubber band engine! A Tram Depot with a gate where the tram drives in and where it prepares for the next trip according to the route timetable. The depot is also equipped with a turntable for turning the tram on 180 degree for the next trip. There is a special “tongue” on the rails of the turntable which stops the tram in the closed position, and reclines after the turn of the turntable allowing the tram move on the return route. 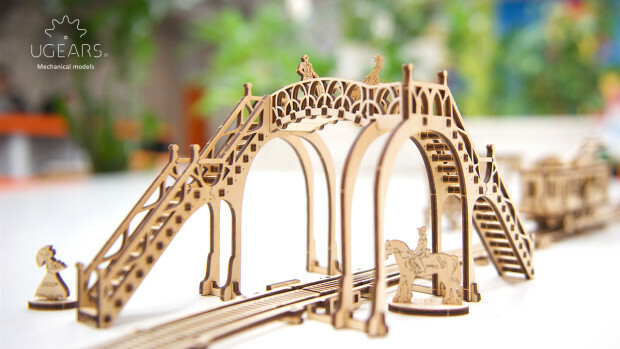 Other smaller models include Straight track, Radius Tracks with Junction, Street Lamps, and seven small characters. 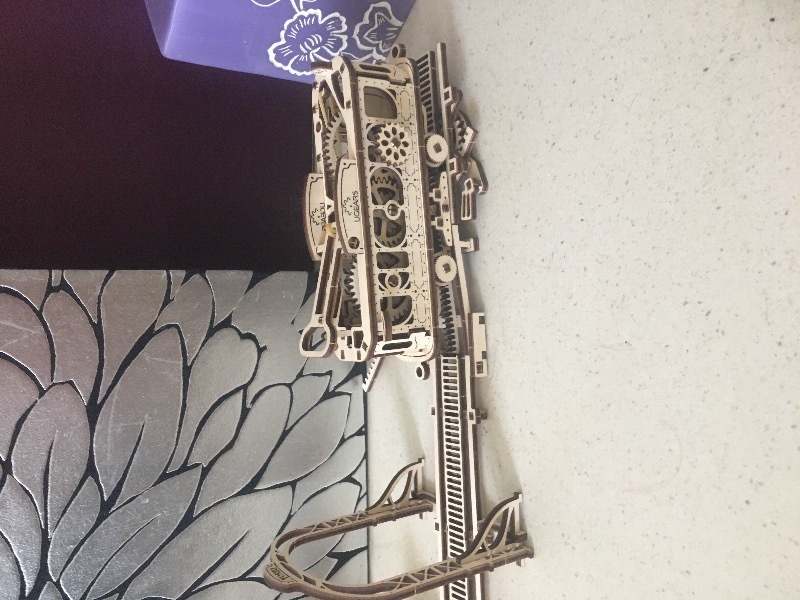 This was purchased as a gift . The recipient loved putting it together . It was great that it had all the little extras ( people , benches etc ) . Absolutely lovecd the turntable . Lovely product kept Husband incredibly happy and everyone has enjoyed watching it emerge and now working. This was a great project. Very impressed with the detail and thought behind this model. It worked better than expected,delighted with it. I will be ordering one or two in the near future. Looking forward to another exciting project. Silver haired duo . Old codgers. I buy these for my son in law in Australia who loves building models. His feedback is that they are very high quality and are extremely well made.